A practical explanation for pre-registration trainees. Shows what to expect from a hospital pre-registration pharmacist training programme. Provides a practical explanation for undergraduates and pre-registration trainees on what to expect from a hospital pre-registration pharmacist training programme. Read our interview with author Aamer Safdar for more tips. The fourth title in the Tomorrow's Pharmacists series, Hospital Pre-registration Pharmacist Training will be a valuable resource for pharmacy undergraduate students, hospital pre-registration trainees and hospital pre-registration tutors. 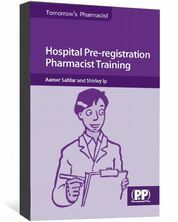 Hospital Pre-registration Pharmacist Training is also available as an eBook. I think this book would be an excellent read for any student who is going to be doing their pre-registration training in hospital..."
Samantha Allen, University of Nottingham, bpsa.co.uk. 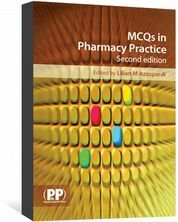 "The book provides a really good insight into hospital pharmacy and neighbouring aspects of pharmacy such as primary care, sandwich courses, industry, the whole part of the preregistration year, and this is something that interviewers are interested to know about"
"Well written and well thought out book! - full of tips, for both those interested in completing a hospital pre-reg placement or about to undertake one. 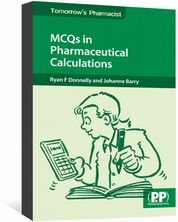 Essential reading to understand the role of a hospital pre reg pharmacist and most importantly the issues that may arise during the year." 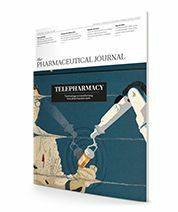 The official monthly journal of the Royal Pharmaceutical Society. News, articles, reviews, and CPD.